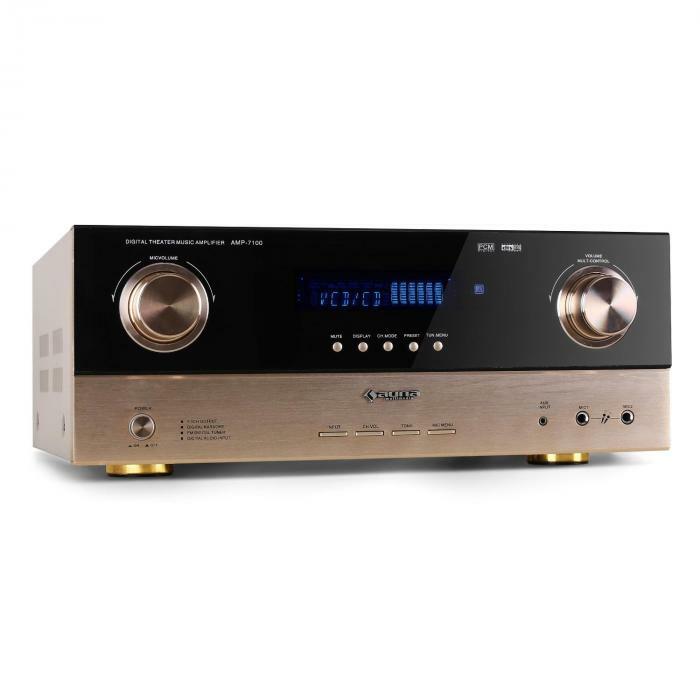 The Auna AMP-7100 is a multi-functional 7.1 surround AV amplifier/receiver that's suitable for hi-fi, home cinema, or for hosting karaoke events! The amplifier runs at a total of 2000W, and also features two optical inputs, two coaxial inputs, and a 7.1 base rate to connect to high-end game consoles, Blu-Ray players and DVD players. 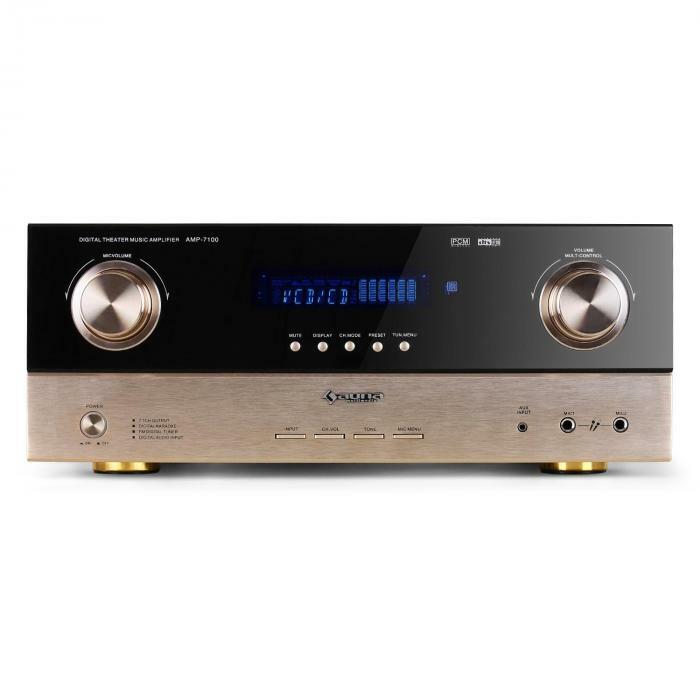 The AV receiver centralizes the image signals of 3 composite-and S-video sources and transmits the signal to the TV, projector or other device. 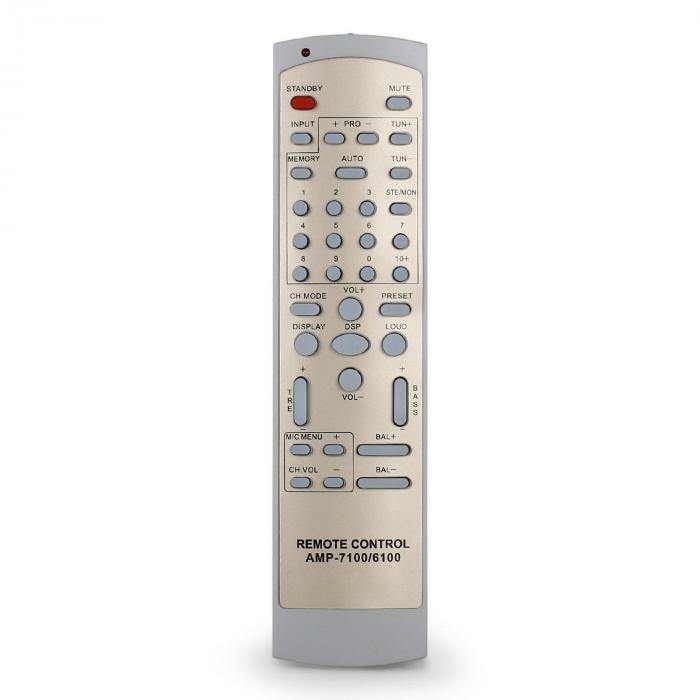 It also has jack inputs for connection to CD/MP3 players, and also has an integrated radio receiver. 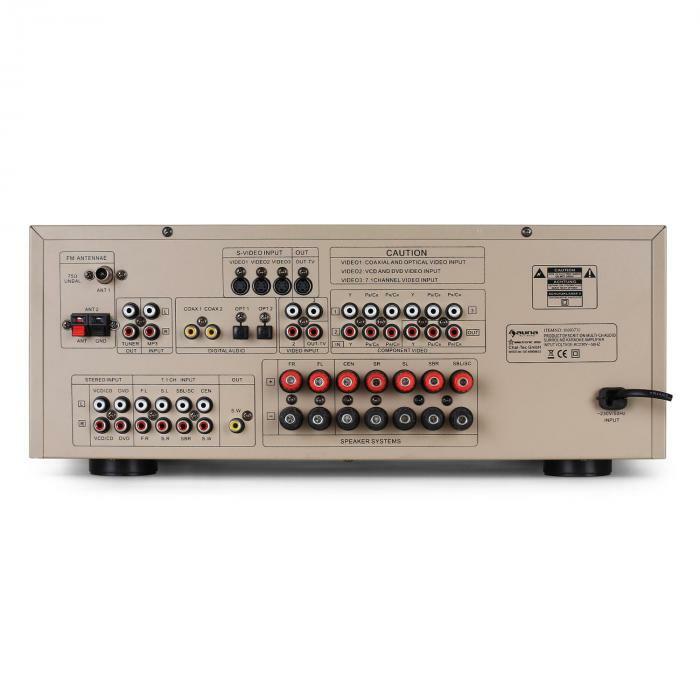 As a useful addition to hi-fi and home cinema systems, the receiver also features front-panel microphone inputs which allow you to entertain at PA-events, karaoke parties, or other speech or vocal applications. With a performance of 2000W, the Auna AMP-7100 provides a suitable sound level for larger private parties and commercial events, and with its golden bronze colored aluminum brushed front and animated display, it will definitely add a touch of style to your living room. 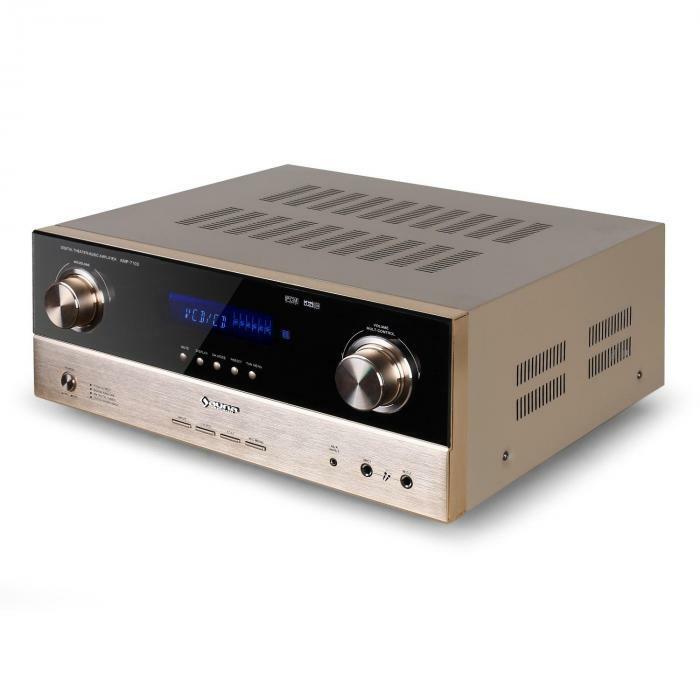 The best product i could ever buy,The Auna amp-7100is very good,Bass effects are excellent.